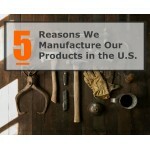 5 Reasons We Manufacture Our Products in the U.S.
Posted by Trimm on Sep 25, 2015 . There’s a reason we all love Grandma’s cake more than what comes out of a box. It’s because it’s homemade. Maybe it’s the extra dash of sugar she adds that does it. Maybe it’s that her hand-whipped buttercream icing is the perfect topping. Maybe it’s that she used to let you lick the spoon. Or maybe it’s all of the above. Whatever it is that she does, nothing beats a slice of her prepared-by-hand, took-her-time and made-with-care cake. Posted by Trimm on Sep 22, 2015 . 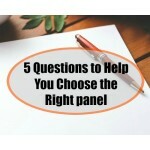 Out of everything you do each day, we think choosing a DC power panel should be one of the least stressful. But unless you have specific information telling you the exact part number, sometimes it can be hard to know where to begin.